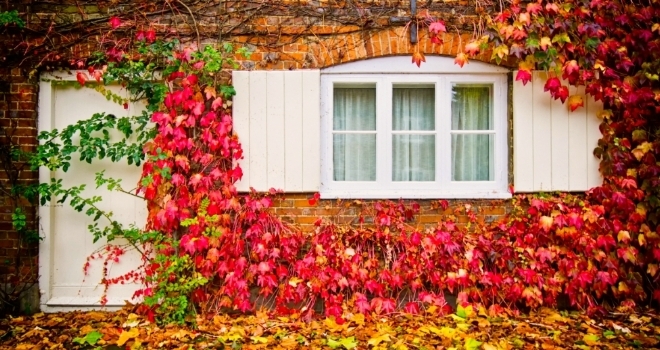 Autumn is upon us, and now is the time to make sure your property is in tip-top condition for the cold and wet months ahead. With the weather still mild, TrustMark, the Government endorsed 'find a tradesman' scheme, is advising property-owners to carry out a few regular maintenance jobs in order to winter-proof their property. Clean out your gutters, making sure that downpipes and any outlets are clear of leaves and debris. You'll also need to check and repair any leaking gutters. If a gutter is then blocked up with water, then this could freeze and pull away from the building causing further damage. A backlog of water could also run the risk of freezing, ultimately bursting your pipes. Inspect the roof (e.g. carefully from the ground) for any broken, loose or missing slates/tiles/mortar or flashings, and watch for any early signs of leaks or condensation on the ceilings - especially at the outer edges. In the case of ice and snow on the roof, make sure that there is nothing that could be damaged should an ice shelf slide off as it thaws. Getting your boiler serviced or inspected should always be at the forefront of any autumn MOT as a boiler breakdown is a grim experience. Many property-owners do not realise that a well-maintained boiler will burn less fuel, so having your boiler checked and your heating system serviced will save money and, most importantly, it could potentially avoid a terrible tragedy. Ensuring your loft has adequate insulation and fitting draught excluders will both keep your house warmer and save you energy. There are lots of cheap, easy ways to heat up your property, meaning your tenants will be less likely to reach for the thermostat. With our winters expected to get colder and heating costs on the rise, it’s important to make sure your property is well insulated and retaining as much heat as possible. Close all windows, and only open them during the day when the sun is shining so the rooms can absorb the free light and warmth. Insert a rubber or foam window draft excluder in each room, which will immediately stop draughts from entering a room and in return it will keep rooms warmer which will make it cheaper to heat. Put up thick curtains to block draughts. Curtains lined with heavy material can reduce heat loss from a room through the windows at night and considerably reduce draughts. Also hollow blinds fitted into place with a sealed frame and sealed shutters will also help cut draughts and keep your heat in for longer. The cooler but still pleasant temperatures in autumn make it an ideal time to tidy up the garden and give you a head start on the growing season. Clear away fallen leaves and other debris, as well as trimming trees to remove dead branches. Ice, snow and wind could cause weak trees or branches to break, so it's best to trim them back to avoid damage. Raise containers onto pot feet to prevent waterlogging and insulate outdoor containers and delicate plants from the frost – bubble wrap works well. Plant tulip bulbs for a spring display next year and prune plants and shrubs to prevent wind-rock. Bring your patio furniture in for the winter, or cover it up to protect it from the elements, and put out bird food to encourage winter birds into the garden.